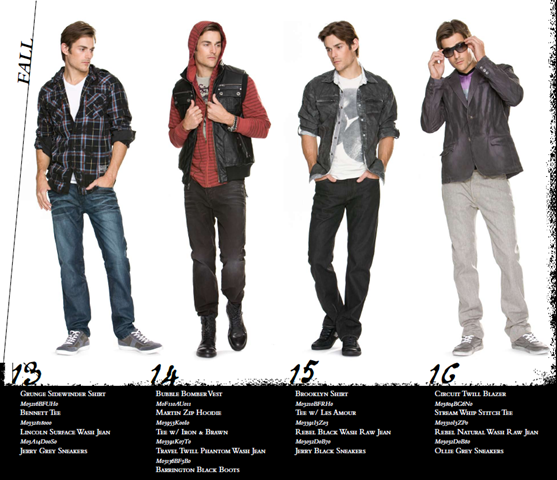 Guess shared the men’s jeans fall/winter 2010 look book with us and here are the salient features of this collection. 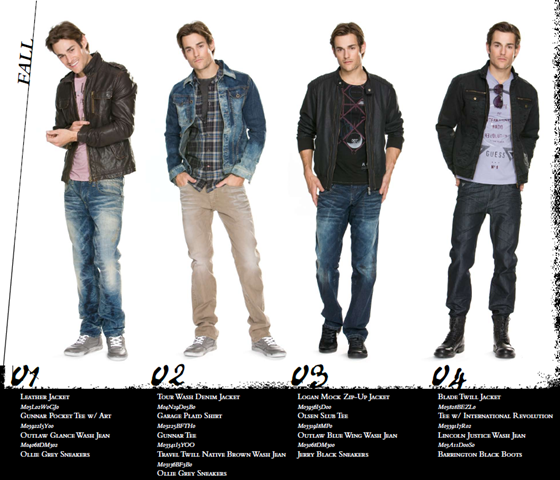 The latest focus of men’s fall / holiday denim can be seen in fabric, wash finish, silhouette, and sophisticated detailing. Fabric: The biggest story in Mens Denim is that Raw is the new Coated. Both fabric directions play a key fashion trend thru the rest of the year in clean looks with a twist. Wash Finish: Garment finishing gets lots of attention with emphasis on soft touch and special surface finishing from coating effects to subtle dimensional whiskers. 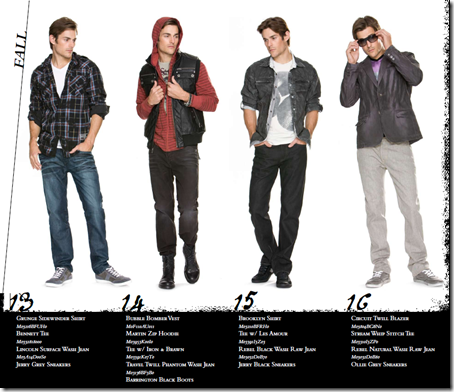 Vintage wash looks continue to play an important role with attention to authentic wear detailing, and aged indigo casts. Silhouette: Slim is the main focus with an additional focus in fashion silhouettes with: chino styling, twisted seams and darted detailing. 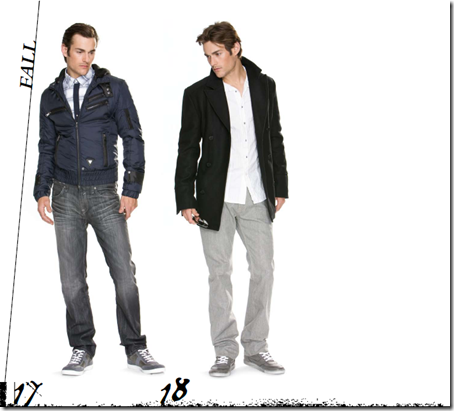 GUESS continues to offer Straight Leg and Boot Cut silhouettes to rounds out the assortment. Detailing: Heavy embellishments are Out….and IN are updated stitch details, using mixed stitch lengths, narrow double and triple needles, and varied thread gagues to create a new look for the standard 5 pkt silhouette. Guess Heritage plays a key role in packaging, with emphasis on the classic branding of the triangle.